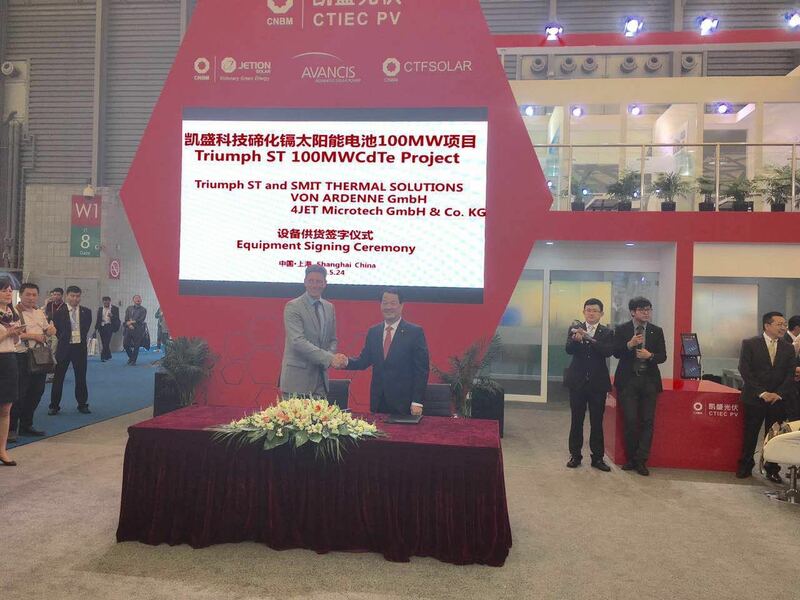 At SNEC in China Smit Thermal Solutions has signed a contract with CTIEC for the delivery of multiple core process tools for their 100MW CdTe Project in Chengdu. The agreement was officially concluded during an equipment signing ceremony arranged at the SNEC in China. Sign Off took place between Mr Pong of CTIEC and Wiro Zijlmans, CEO of Smit-TS. 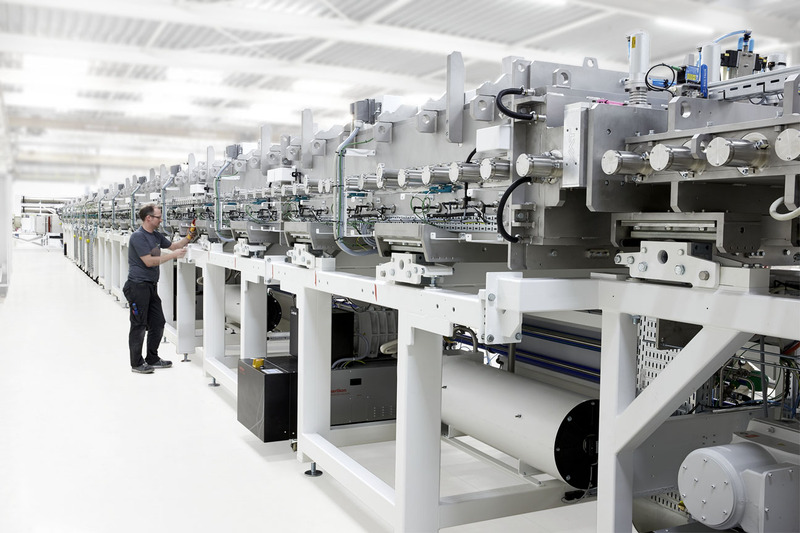 Mr Zijlmans comments: “This agreement is of strategic importance for SMIT-TS and confirms the leadership position we have accomplished in Thin Film PV over the past years. We will work in close co-operation with CTIEC and CTF-Solar to make this a successful breakthrough of CdTe in China".